Why license from City Book Review? 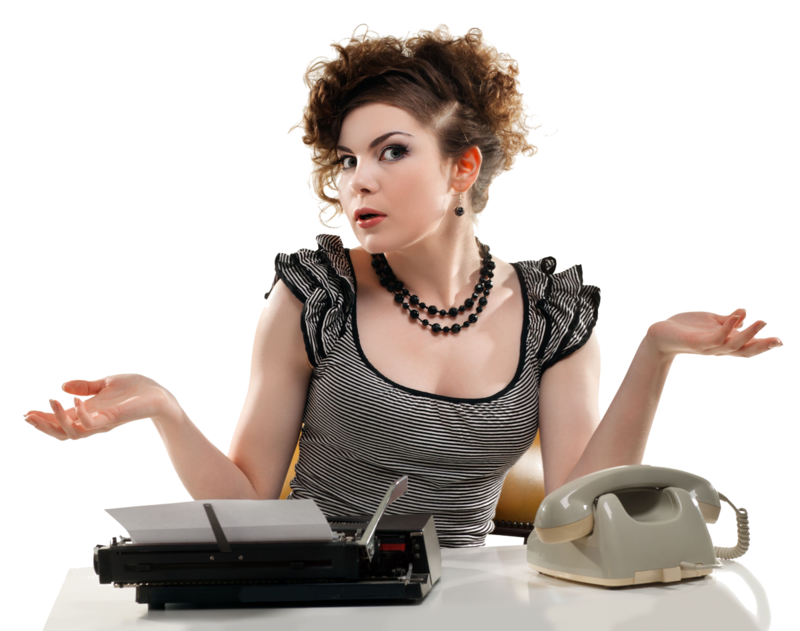 Sure, anyone can start a book blog, so why use us? We've been doing this since 2008, and really have the process down. Part of licensing from us is getting all of our tools, contacts, and experience in getting you a successful launch and ongoing business. 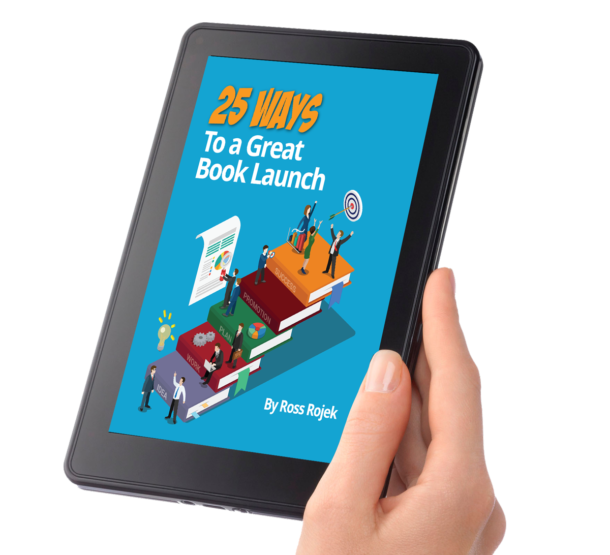 We'll help you build out your website, teach you how to use it, where to request books, how to track them through the review process, and how to work directly with authors. Using a city-branded website lets you get your local community involved—from booksellers to authors and publishers. Don't know how to layout a publication? We can even do that for you as well, or provide you with our templates and let you do it yourself or work with a local designer. We'll help you out every step of the way and let you be the central hub of your local literary community. Licensing is perfect for a library or library system. Allow your readers to read reviews on your website or in a printed publication that are available for checkout in your library. 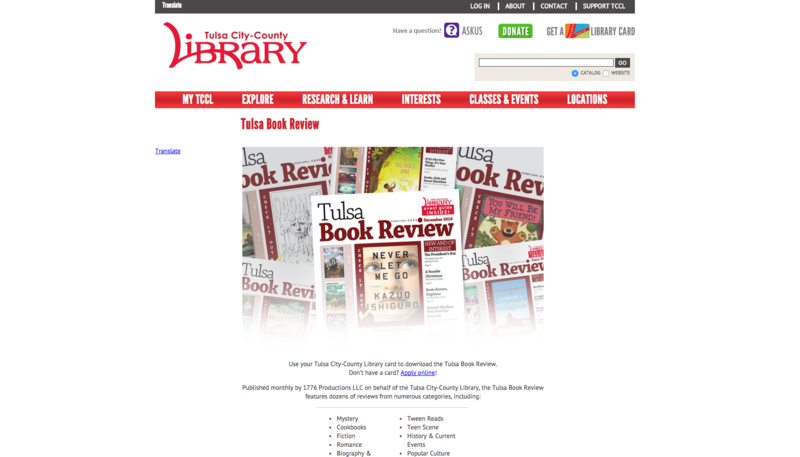 Tulsa Book Review is licensed by the Tulsa City-County Library and prints a 24-page book review publication every month that we provide the reviews, layout, and print services for. If you're an organization, like a library system, writers group, friends of the library, or other small active literary group (even a large book club), you might benefit from a book review. We'll set you up with all the tools, including even doing most of it for you, and let you highlight and promote your local literary scene. You can do all the reviews yourself, find local reviewers, or syndicate our reviews every month, and publish something in print, online or both. This is not a business that can be successfully maintained as a hobby by only one or two people. It's not a hobby, nor is it hard to do part-time while you hold down another job. We've had a few individuals fail at this, because they didn't realize the amount of time and space it took. In our office we have two full-time positions and regularly a part-timer or college intern helping out. The right person with suitable financial resources can make this work, but its a major commitment to consider. 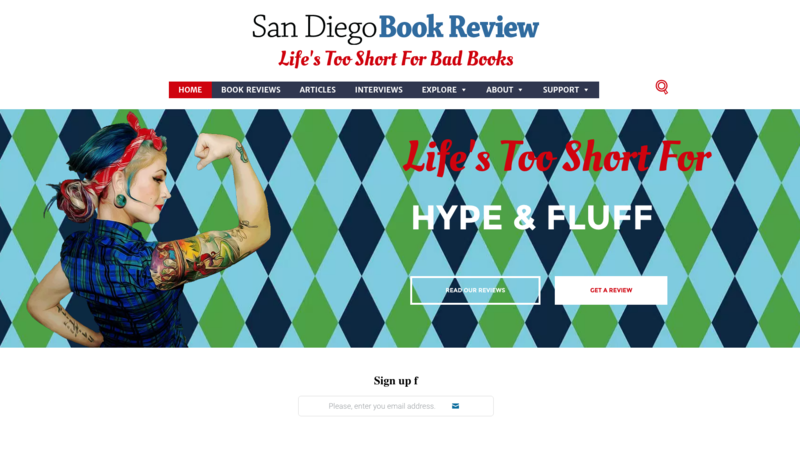 San Diego Book Review is licensed by one of our reviewers, Kim Heimbuch. She is an experienced online marketer and was looking for a way to combine her skills with her love of books. SDBR has had several printed issues and greatly expanded her online presence and local participation. 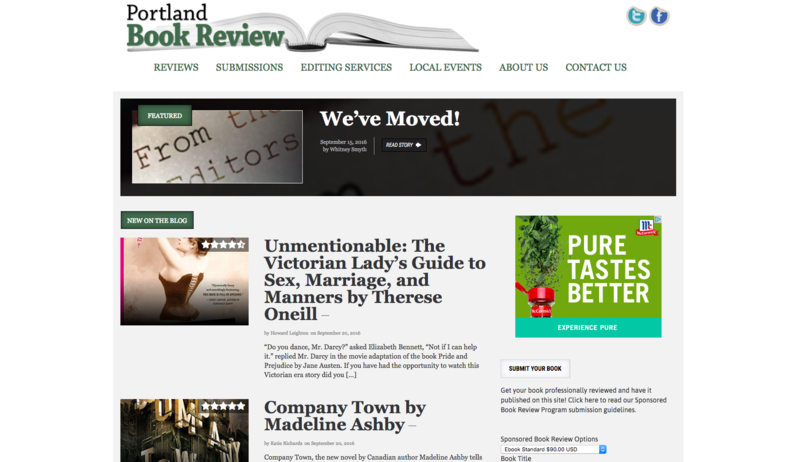 Portland Book Review was originally licensed in in 2010 by a former book reviewer of ours. She sold it to a book reviewer of hers in 2014. Originally, it was printed and distributed every month. Now, it enjoys a very popular online presence. Tulsa Book Review launched in 2011 by the Tulsa City-County Library system. They select reviews from City Book Review that they want to include in their monthly printed magazine that they distribute to their libraries and coffee shops around the Tulsa area. We do their magazine layout for them, and prep it for their printer. If you think you may be interested in licensing from us, we would love to discuss what you have in mind. Get in touch with us below, and someone will reach out to you quickly.